Male reproductive issues are just as likely to cause a couple’s infertility as female issues. Male fertility issues include low sperm count, the absence of sperm, issues with sperm movement, and abnormal sperm shape. Intracytoplasmic Sperm Injection (ICSI) is a cutting edge medical technique used in conjunction with IVF to increase the chances of a sperm fertilizing an egg. ICSI is a form of micromanipulation that involves the injection of a single sperm directly into the cytoplasm of a mature egg (oocyte) using a glass needle (pipette). If there is any problem with a sperm’s ability to fertilize the egg (either due to low sperm count or poor sperm quality) ICSI is the most common and accurate method for solving it. Our colleagues were part of the original Belgian team that developed ICSI, and who first introduced it in the U.S. Eggs are retrieved in the same way as if you were doing conventional IVF, however, the eggs and the sperm are then fertilized in the laboratory, by direct injection of a single sperm into each egg. 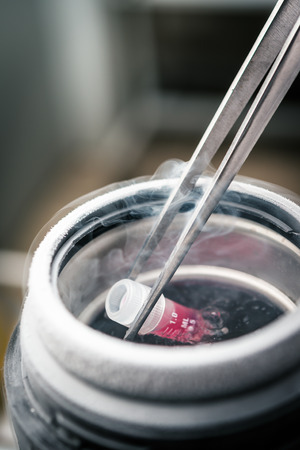 Two to five days later the resulting embryos are placed into the uterus (without surgery), just as with IVF procedures and any other embryos can be frozen for later using our method of vitrification. In order to fertilize an egg, sperm must be able to penetrate the egg. This is a problem if there are a low number of sperm, if sperm are abnormally shaped, or if the sperm is not motile enough to reach and penetrate into the egg. ICSI addresses all of these issues. drjohnzhang, October 27, 2017. No Comments. Category: ICSI, IVF. Many of my IVF patients procrastinate on making healthy lifestyle changes before treatment. If you are contemplating IVF treatment, you must begin healthy lifestyle habits at least six months before you begin the process to prepare your body for pregnancy. Don’t wait until you are pregnant to get serious about a healthy lifestyle. Good lifestyle choices will greatly boost your fertility and help you have a healthy baby. A successful IVF is greatly supplemented by a patient’s reliable fertility diet and healthy body mass index. I always offer my patients helpful resources by recommending they avoid detrimental lifestyle choices. This is true regardless of your chosen IVF protocol. These phenomenal IVF success rates are why New Hope Fertility NYC unveiled its in-house acupuncture therapy treatment program in July of 2017! Our acupuncturists are specially trained in acupuncture therapy with a focus on treating women’s infertility. The World Health Organization (WHO) and the National Institutes for Health have found that acupuncture is a viable and accepted method of treating female infertility. drjohnzhang, October 24, 2017. No Comments. Category: IVF, IVF Treatment. Too often, I hear stories of women who have been turned down by fertility clinics because they are difficult patients. 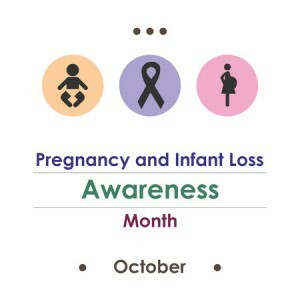 These women have been declined based on their advanced reproductive age and/or poor prognosis for achieving a successful pregnancy through IVF treatment. At New Hope Fertility Center in NYC, age is never a discriminating factor for my patients.Why is this important? We do not boost our high IVF pregnancy success data by rejecting patients based on strict criteria. Taking on very difficult patients and helping them overcome their infertility encompasses the overall goal of our One Good Egg Policy. 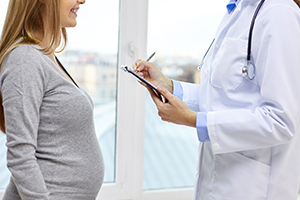 Here, we are committed to treating all patients suffering from infertility – regardless of their diagnosed difficulty. Bottom Line: To get pregnant successfully, only one good egg and one healthy sperm is needed. In recent years, egg freezing parties are being sponsored by many fertility clinics. Fertility specialist reach out to women wanting to know more about the medical phenomena of egg freezing to preserve their future fertility. Potential patient are invited to a social party where they will be educated and informed about the benefits of egg freezing. It’s very important to realize that egg freezing is not just beneficial to young women in their 20s. Today, many women in their late 30s or early 40s have successfully frozen their eggs. These women were blessed with a baby when they decided the time is right for them to get pregnant. I recommend women take action to freeze their eggs in their mid to late 30s for the best chance of a successful pregnancy in their 40s. Successful pregnancies achieve the highest rates when eggs are thawed and transferred to the patient within five years. However, oocytes can be frozen indefinitely. drjohnzhang, October 19, 2017. No Comments. Category: Egg Freezing. Why Opt For ICSI In Conjunction With IVF? Intracytoplasmic Sperm Injection (ICSI) is an innovative method of fertilizing eggs in conjunction with In Vitro Fertilization (IVF). By using ICSI in conjunction with IVF, we can greatly increase the chances of achieving a healthy embryo and a successful pregnancy. ICSI is an in vitro (laboratory) procedure that involves injecting a single sperm directly into an egg for fertilization. This is a great option for men who would otherwise be considered infertile due to low sperm count, low motility, or other fertility complications. The sperm can be removed directly from the man’s fresh ejaculate that has been washed and prepared in the laboratory. 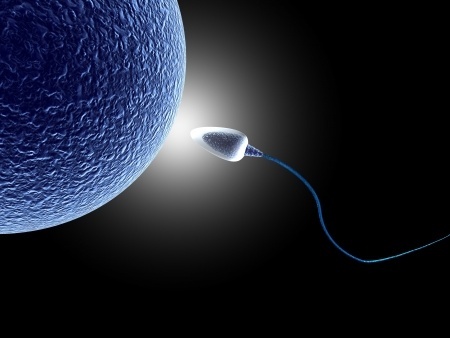 Once a single sperm has been immobilized, it is retrieved into a micropipette and then injected directly into an egg. ICSI boasts a very high success rate and has no harmful effect on the resulting embryos. In fact, over 100,000 babies have been born this way. ICSI is not just for men who are infertile. At New Hope Fertility Center, ICSI is used as a standard ancillary procedure to IVF because it results in higher fertilization rates of the eggs. 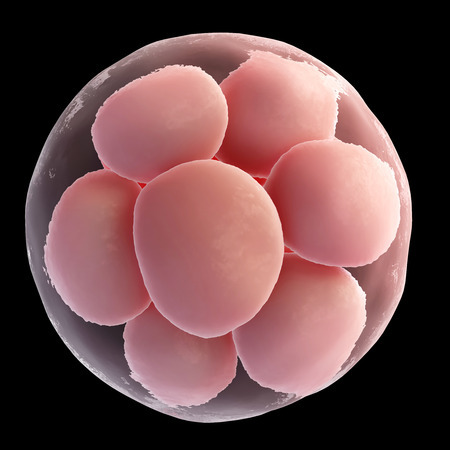 Higher quality egg fertilization rates results in more high quality embryos. Microsurgery - In many cases, we can retrieve sperm directly from the man’s testicles through a microsurgical process. This surgery is done under local anesthesia and takes just a few minutes. Most men report little to no pain during recovery. Fine needle aspiration – This option also extracts sperm from the testicles and is a good fit for men who do not wish to or are unable to undergo surgery. Instead, a thin needle is inserted into the testicle to extract the sperm. Using testicular sperm for IVF has virtually the same success rates for fertilization as using ejaculated sperm. The only drawback is that testicular sperm does not freeze as well for future use. It is more practical to fertilize eggs with the testicular extracted sperm and freeze the resulting embryos. Dr. Zhang is a highly trained fertility specialist and can answer any questions you may have about the process of ICSI in conjunction with IVF. Here at the New Hope Fertility Center, we offer ICSI to all of our IVF patients at no extra charge. Dr. Zhang will work with you and your partner to design a customized IVF protocol that is most appropriate to your medical history and personal preferences. Call us at 917.525.5496 to schedule your first consultation. We look forward to helping you conceive. drjohnzhang, October 6, 2017. No Comments. Category: ICSI, IVF. Egg freezing – oocyte cryopreservation – is a phenomenal medical technology available for today’s women to preserve their fertility for tomorrow. These women want to ensure they have the ability to be biologically connected to their children in the future. Embryo cryopreservation – using known or donor sperm – is also becoming increasingly popular as a means for women to preserve their ability to have a family. By preserving their eggs through oocyte cryopreservation, women can postpone motherhood past their prime childbearing years. Pregnancy success rates using a woman’s egg that has been cryopreserved, thawed and fertilized are comparable to success rates using a fresh egg. After a woman’s eggs have been harvested through a fresh IVF cycle, they are frozen using an advanced technology known as vitrification. This is a flash-freezing method to ensure the egg is not damaged by ice crystals forming between cells. New Hope Fertility NYC is an international leader in egg freezing technology. Dr. John Zhang was one of the first fertility specialists in the United States to use the vitrification method to freeze eggs and is celebrated for being the first doctor in New York to accomplish a live birth from a frozen oocyte. When a woman is ready to start her family, the eggs are thawed, fertilized with sperm in vitro and transferred for implantation into her uterine lining. 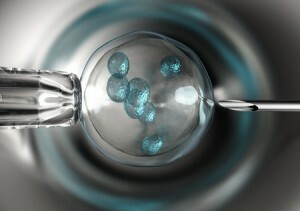 Contact Dr. John Zhang if you interested in preserving your fertility through egg freezing. It is important to work with a fertility specialist who is accomplished in egg freezing technology. To schedule your one-on-one initial consultation with Dr. John Zhang – call 917.525.5496.
drjohnzhang, October 3, 2017. No Comments. Category: Egg Freezing.